Just posted these pretty Vintage Floral Banners over at Shabby Blogs! Be Sure to Grab them! 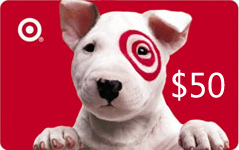 Tomorrow is the Last Day to enter to Win a $50 Target gift card! oh my goodness gracious…these are the prettiest EVER! Thank You! LOVE, LOVE! Thank you Keren!! Oh ,wow!! so beautiful!Thanks for sharing! Oh my GOODNESS!!!! these are YUMMY!!! can I use them in Photoshop Elements…. LOL!!! These are so cozy and wonderful! How are we ever going to survive without Picnik though? I use it for everything! These are very pretty banners. I’m going to have to get on here and see where I can use these and how to apply them. Oh such lovely vintage banners! I love vintage!! how would you use these for blogger with a signature?